I remember back in 2013 when Man of Steel came out. It was meant to be the big return of the Blue Boyscout to theatres after 2006's groan-worthy Superman Returns. After its release, people were split on whether or not Man of Steel was a good depiction of Superman to the point where people either loved it or hated it. I enjoyed it quite a bit, but I could easily acknowledge how some people had gripes with it. 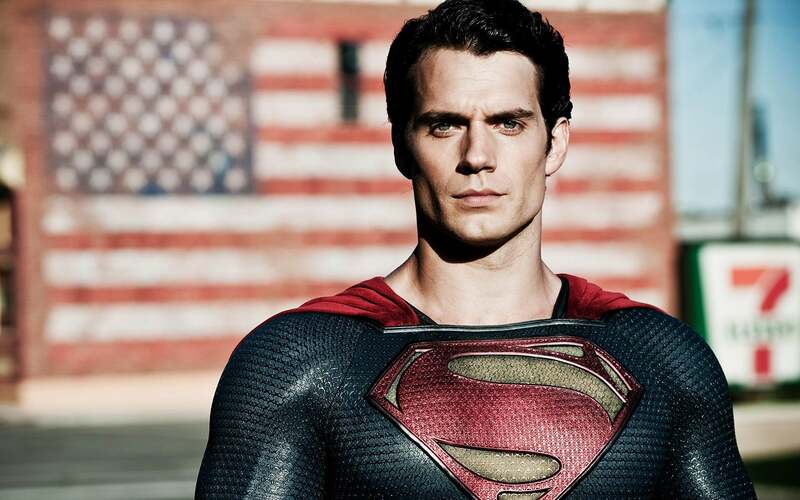 But I never once had an issue with Henry Cavill as Superman. He never came across as arrogant, smug, holier-than-thou, or any words used to negatively describe Superman. He was just a good Superman. And then he lost goddamn his mind. We've endured five years of the DC Extended Universe, but if you were to ask anyone what they thought about it, at best you'd have people say that it was okay. At worst, it's a dark, mishandled, poorly planned, poorly executed cinematic universe that is trying to ape Marvel but doesn't understand why the Marvel Cinematic Universe is as successful as it is. The DCEU, from its inception, was a slapdashed franchise that failed at handling any of its characters properly unless they were named Wonder Woman. And DC needs to take it out back like Old Yeller and do what they do best; kill things. From birth, the DCEU was slapped together to carry on the success of Man of Steel. Hell, it wasn't until DC released Man of Steel that they began to plan their cinematic universe. And you know what, that's fine. If you're a multi-media company and you want to establish a cinematic universe that ties together hundreds of beloved characters, then it would clearly take time to establish a universe that fans can grow to love filled with beloved icons and you'd want to start that after gauging a general interest. They used Man of Steel as a barometer. That's exactly what Marvel did. They slowly rolled out solo superhero films and brought those superheroes together four years after Iron Man debuted in 2008. Time was taken to have audiences get to know Iron Man, Hulk, Captain America, and Thor in their own adventures. Conversely, the DCEU was created a few days after Man of Steel hit theatres and that was all DC needed. In the span of five years, DC released five movies in the DCEU of wildly different quality with very little cohesion to them except for bleak aesthetics and a distinct lack of joy. Hell, only three of the movies share a single story. However, when compared to the MCU, DC actually took a much more conservative route. Five years into the MCU, fans were given eight movies to nerd out over. DC had five in the same time span. You can't accuse DC of rushing their products out, so why is the DCEU such a joke compared to the MCU? You could argue that it has to do with the aesthetics and how every character is gravely serious in all of their movies. You could argue that the constant change of leadership at DC is to blame. I'd even buy that DC shouldn't have chosen Zack Snyder to helm three of their movies, setting the initial tone for the entire project. But at the end of the day, the reason why the DCEU is failing is because they're desperate to be liked and they'll do anything to prove it, even if it means bad publicity. Case in point, Suicide Squad! When Suicide Squad had its first trailer shown off, it was a dark, serious, and again, very bleak. However, it worked for the Suicide Squad because it's a movie about a group of killers that need to do suicide missions against their will for a chance at parole. 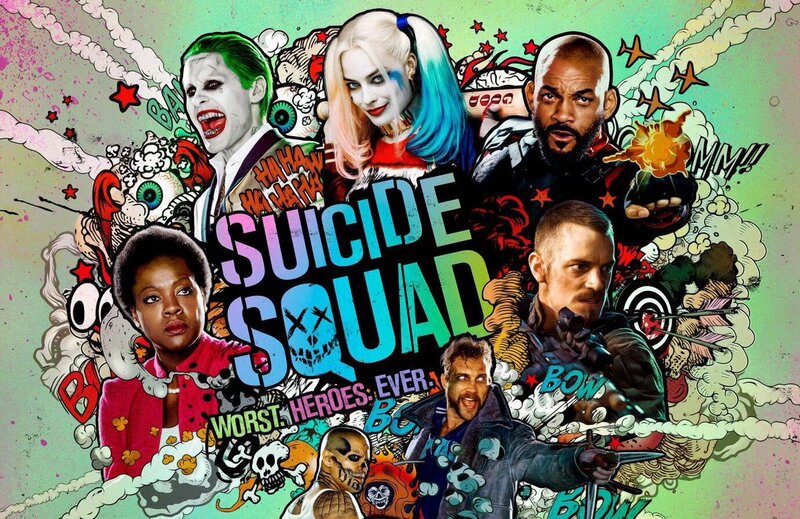 That original trailer released in July of 2015, but the trailer that we all associate with Suicide Squad debuted in January of 2016. You know the one. After the fan reception was so overwhelmingly positive, Warner Bros. decided to make the rest of the movie more lighthearted like in the second trailer. They filled it with more gags, more bright colors, and made it a black comedy but they didn't change the release date of the movie. Production on the movie actually ended five weeks before the movie was set to release, costing DC about $22 million in post-production costs. And the result? The movie had clashing tones, terrible character designs, and plenty of cut scenes that resulted in fans hating it. Ironically, the changes were made to please the fans. It didn't stop there. 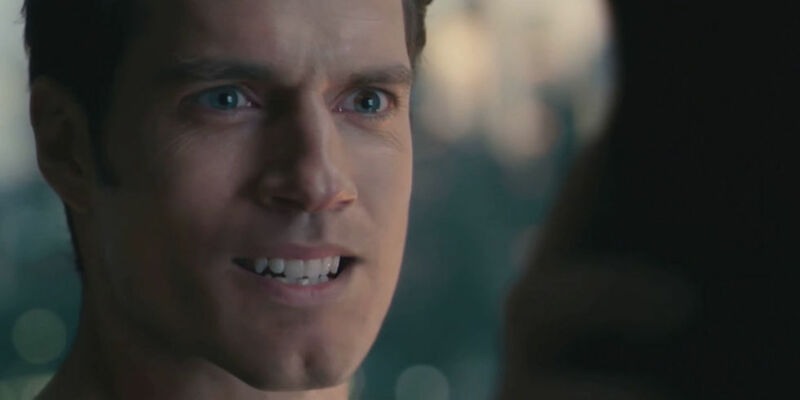 Justice League had its own publically criticized post-production saga, this time in the form of Henry Cavill's legendary mustache as well as Joss Whedon taking the helm after Zack Snyder stepped down due to a personal family tragedy. Joss Whedon's scenes stuck out like a sore thumb, same with Cavill's CGI baby face, which resulted in even more fan backlash to the point where people are still demanding Zack Snyder's original cut of the film that apparently doesn't exist. Also, fun fact, Justice League was under heavy editorial mandate to be under two hours and had to release in November of 2017, putting even more pressure on the production. But really, DC's current woes all comes down to bad publicity. The DCEU has a publicity problem where any news that comes out about any of its projects are bad or uninteresting. I know there's the saying that "All publicity is good publicity," but when your publicity involves your massive crossover event bombing at the box office, becoming the worst peforming movie in your franchise, and sets your company back $60 million, that's not good in any definition. Especially if you're an investor. The only DCEU movie that has nothing but good publicity is Wonder Woman, which I'd argue was the biggest movie released last year that everyone universally liked. Wonder Woman became a role model to plenty of young girls, the action was great, the movie had colors in it that weren't grey or black, and it was a cultural touchstone for a generation. DC actually beat Marvel to the punch for the first female directed superhero movie starring a woman. There was nothing but good news for Wondy, but all of that went to waste when Justice League debuted. And then you have the casting problems. Alec Baldwin was hired for a day before quitting production on a new Joker movie. 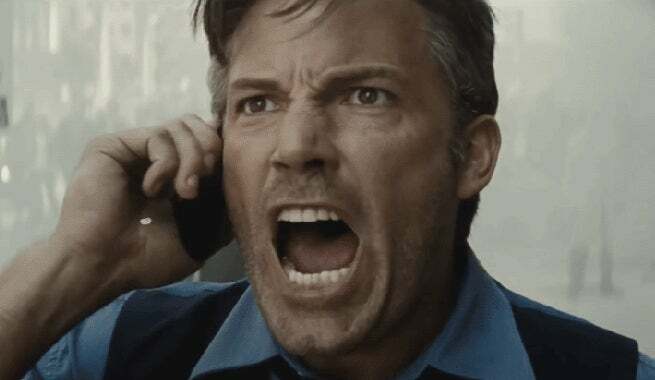 Ben Affleck left too, leaving the DCEU without a Batman. But most importantly, Cavill is gone. The man who has been with the franchise for the longest has now parted ways with DC. You can't get much worse than that. So why am I making the call to have DC just erase their extended universe like it never existed? Well, let's look at all of DC's upcoming titles. Now just to be clear, I am talking only about DC live action movies that either have a confirmed release date, director, production crew, or was announced by DC themselves. We have Aquaman, due for release this December, Shazam! and Wonder Woman 1984 are both coming out this next year as well as the mysterious new Joker movie starring mild-mannered Joaquin Phoenix, and then we have The Flash, Green Lantern Corps, Black Adam, Suicide Squad 2, Birds of Prey, Cyborg, and The Batman, all of which are in the nebulous 2020-2021 release window. But we're not done! See, those are ones that are officially being worked on, but DC has also spent the past several years announcing more movies in their cinematic universe! 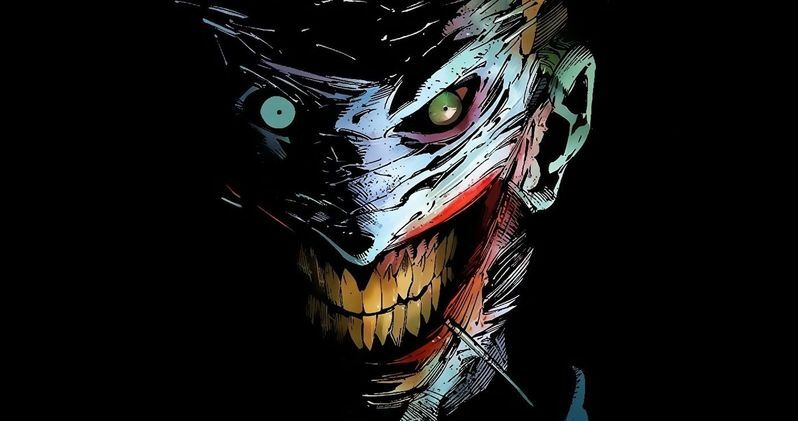 There are going to be movies based on Lobo, Justice League Dark, Booster Gold and the Blue Beetle, Supergirl, multiple Harley Quinn movies, one of which will star the Jared Leto's Joker, Deadshot, another Jared Leto Joker movie, Batgirl, Nightwing, Deathstroke, and do you see where the problem is? There are way too many movies that are going to come out and none of them have been confirmed with solid details! "But Jesse! What's the difference between DC and Marvel's approach? They both had plenty of movies come out with a huge roster of characters in a short time frame, but Marvel made it work!" Yes, Marvel made their cinematic universe work by keeping everything simple and clean. Every movie had a clear purpose and connected with each other fairly well. But there's the problem; Marvel is keeping everything in one continuity. DC? I don't even know anymore. It's been made public that Joaquin Phoenix's Joker movie is not going to take place in the DCEU, and that is good news for the movie but bad news for the DCEU. That essentially means that all of those movies I just listed may or may not take place in continuity. Hell, with three other Joker movies in development, one for the Harley Quinn/Joker movie, one for a Jared Leto Joker movie, and one for Suicide Squad 2, who can say that he's going to stay around long enough to play the Joker in all three of those movies? Who can say that they won't tie the Supergirl movie into the CW's Arrowverse. The same for Nightwing if Titans prove to be a hit. And with the turmoil at DC over casting and leadership changes, who knows if any of these movies will see completion. Whenever a Marvel property is not a part of the MCU, there's a clear reason why. You don't see the MCU casually throwing out mutant references because they don't have the film rights to the X-Men characters (for now). Those are firmly in Fox's hands. Marvel is well known for having a clear and concise plan for its storylines to the point where all of their movies were building up to Infinity War for the past six years. DC has shown no signs of having clear control over their cinematic universe or even an endgame. Hell, is there an endgame? Is everything leading up an adaptation of Crisis on Infinite Earths? Cause I highly doubt it. Then again, did you know that the DCEU isn't actually called the DCEU? DC apparently called their cinematic universe "Worlds of DC" back in July, but they never confirmed nor denied that their cinematic universe was even called that! The phrase "DCEU" was just created by fans to give the franchise a name. At least with Universal's failed Dark Universe cinematic universe, they announced it had a freaking name. DC can't even be bothered to tell us what the hell franchise its movies are under is called! Now you'd expect at this point that I'd say that there's some magical, super easy way to fix the DCEU and make it profitable, but nope. I'm fresh out of ideas. Any suggestions that DC could have taken have been thrown out the window with nearly all of their releases facing critical scrutiny, post-production woes, underperforming numbers at the box office, production hell, and fan backlash on a weekly basis. At this point, DC should honestly try to go back to doing individual superhero movies without any need for a cinematic universe. Just make great movies that don't connect with each other. Make Shazam! a great movie period, not a great DCEU or whatever the hell DC wants to call it. Focus on telling the Green Lantern story that we deserve. In fact, you can make an entire franchise out of Green Lantern and base it on Geoff John's run on the series. Lord knows you'll have material for years of quality GL movies. DC should probably use Wonder Woman as its framework for future movies. It was removed from continuity, focused on creating a likeable hero that actually felt like a superhero, and didn't bother with any of the Doomsday, Steppenwolf, Lex Luthor, Superman's dead bullcrap of the modern movies. It told an engaging war movie that focused on being a good movie above all else. Stop trying to ape Marvel, DC. Admit that you tried, you failed, and just make movies that fans want to see. You'll never replace Marvel. That's statistically impossible. Just do your own thing, man. And stop letting Jared Leto be the Joker. We'd all be grateful for that.